The Public Procurement for Innovation (PPI) is an opportunity for hospitals, the health system and companies to generate innovative health solutions that revert to the quality of patient care from many perspectives. 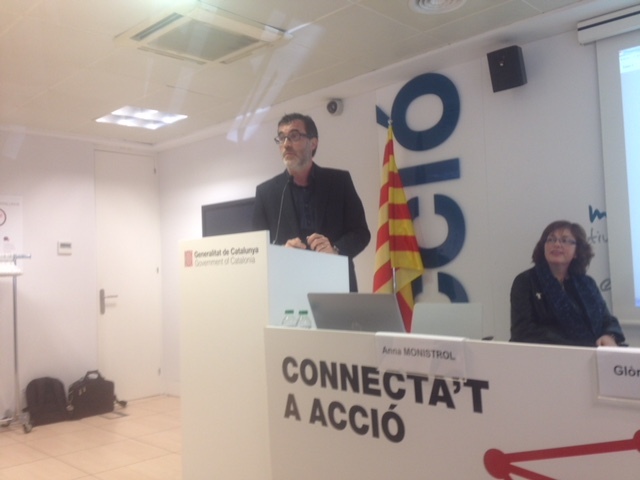 Last March 6, Grupo Pulso in the session on CPI organized by ACCIO (Agency of the Competitiveness of the Company of the Generalitat de Catalunya) and CataloniaBio & HealthTech Cluster. There were around 70 people who could know the opportunities offered by this instrument for companies in the health sector. This paradigm of innovation is based on the demands and needs defined by the public health system that result in tenders to buy innovative solutions. Due to the degree of sophistication of the demand, it requires the collaboration of different companies with complementary capacities both in the health sector and in other sectors that can develop a comprehensive offer. The event was attended by speakers from all perspectives involved in the PPI: hospitals, health system, and the company. Gloria Palomar, from the Parc Taulí Foundation, explained how the needs that are not covered by the technology available in the Market are identified and, therefore, require companies that want to develop innovative solutions. Ramon Maspons, from AQuAS, explained how these needs arise through a bottom-up and top-down process and the importance of an innovative culture within hospitals. Joan Escudero, from Grupo Pulso, encouraged companies to participate in these processes, explaining the experience of Grupo Pulso in the 9 projects where it has participated and the learning that it has entailed for the innovation capacity of the company. Finally, directors of ACCIO offices in the United Kingdom, USA and Singapore explained the identification systems of CPI opportunities that exist in the different markets and the accompaniment and partner search services offered to companies that want to participate, as well as the opportunities open at this time.